Friday, August 5 from 6:30 p.m. until 9:00 p.m. The 23rd annual Interfaith Peace Gathering to Commemorate the Hiroshima & Nagasaki Atomic Bombings, organized by the Reverend Dr. T. Kenjitsu Nakagaki, will feature special speakers and performances while focusing on the first visit by a sitting US President to the Hiroshima Peace Memorial Park, which took place on May 27, 2016. This year’s featured visual artists are Kunio Suzuki, who specializes in Suiboku (India-ink) painting, and Origami Therapy Association, who are providing origami decorations. 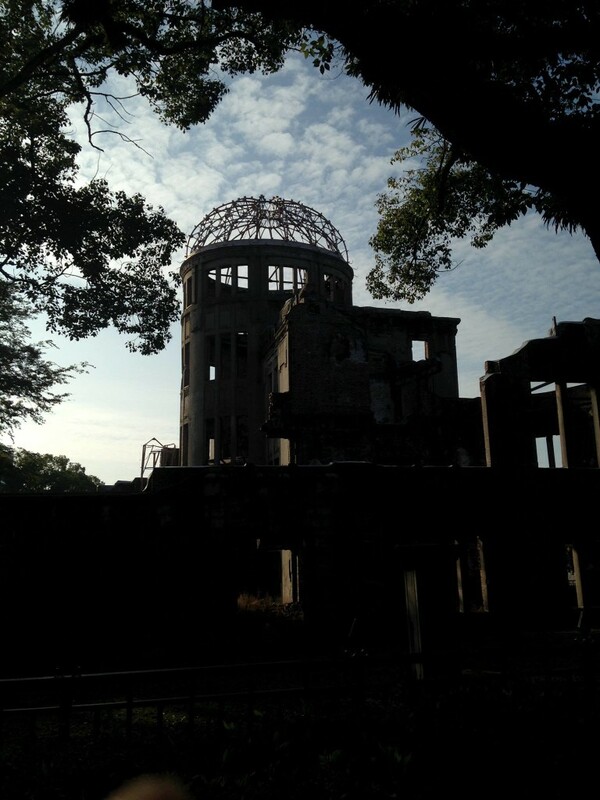 There will also be a Genbaku A-Bomb Dome and Hiroshima Peace Museum photo exhibition. 7:30 p.m. – Interfaith Peace Prayer: Speeches by religious leaders from various faiths. Greetings and Messages: Reading of Messages from the Mayors of Hiroshima and Nagasaki.